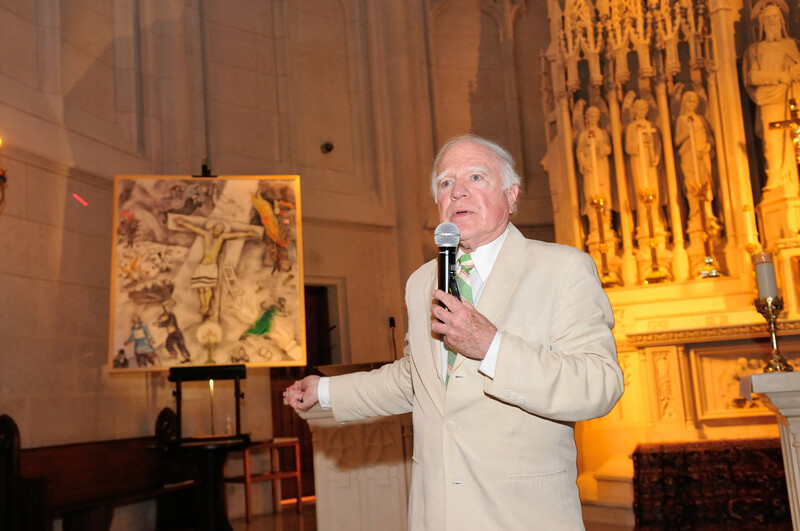 The evening begin with John David Mooney’s interesting talk on Chagall’s White Crucifixion and Pope Francis in St. James Chapel. The Cardinal shared a few thoughts and spoke on the mission of the Patrons. Although the weather did not cooperate and the rain kept everyone from the courtyard, a reception of food, drink and music was enjoyed by all indoors at Quigley.